With Grand Theft Auto, Bully, and Red Dead Redemption, Rockstar Games has proven itself to be one of the most innovative and provocative developers in the industry. But their games aren't always perfect. One of the most constant criticisms lobbied at the developer is a misogynistic streak over how the games treat its female characters, particularly when it comes to prostitution mechanic in Grand Theft Auto as well as story beats that feature women being kidnapped and beaten. 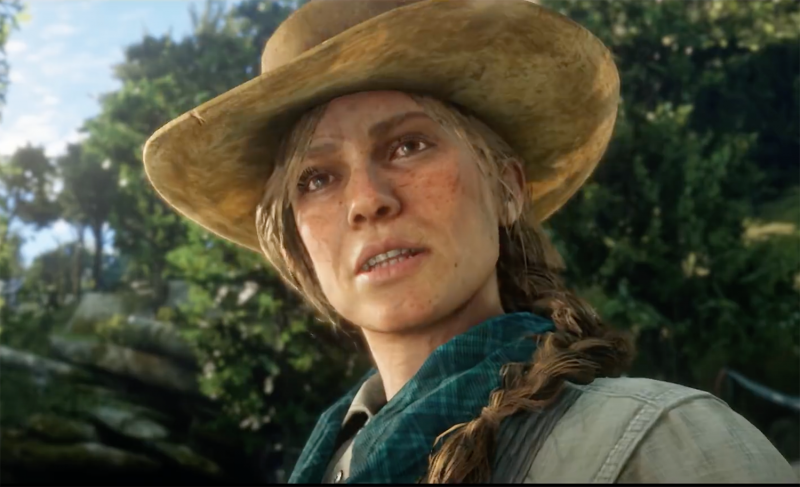 Despite demonstrating the ability to create interesting and strong women characters like Bonnie McFarlane, no Rockstar Game has featured a woman as its protagonist outside of the avatars you can make in modes like Grand Theft Auto Online. Rockstar has been criticized for the lack of empowered women in its games. Dan believes that won’t be an issue in RDR2, which features, among others, “this old intellectual called Lillian Powell, who’s come back to the South from New York, who’s almost like a Dorothy Parker character. There are also ones who are weak and ones who are weak and become strong and ones who think they’re strong but are not. And that goes for men, too.” The burgeoning women’s suffrage movement also figures in the story. “It was a time when women were beginning to question [their roles], and the Wild West was an area where people could invent themselves for the first time; many of the people who were inventing themselves were women,” says Dan. “They were no longer constrained by society, because there was no society. The whole piece is a fascinating behind the scenes look into Rockstar Games. You can read it here. For more on Red Dead Redemption 2, check out our hands-on preview here.